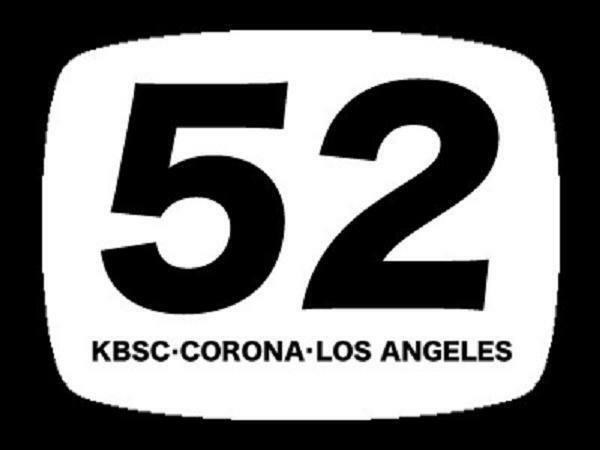 There was a time when there were only a handful of television stations in Los Angeles. After school television was child friendly. There were 60s reruns of The Adventures of Ozzie and Harriet, Mr Ed (a horse is a horse, of course, of course...), The Adventures of Superman (George Reeves). And, a fair amount of cartoons on the regular local channels on VHF (Very High Frequency). Then, there was UHF (Ultra High Frequency). Rotary tuning selector. Select "U" on the main dial, then turn the "UHF channel selector" knob to the desired channel. Adjust the fine tuning ring until the picture is at its clearest. Then, adjust the rabbit ear antenna on top of your television set... a little to the left, a little to the right... there. You got it! Channel 22 provided endless stock market and business reports. Channel 28 was a public broadcasting station with educational television such as The Electric Company and Sesame Street. After that, you had to turn the dial all the way to Channel 52 to find the next station, but it was a goldmine! Channel 52 only operated in the afternoon after 3:00pm. They offered programs that the VHF channels had passed on. It brought the re-birth of The Three Stooges, The Little Rascals, Felix The Cat, Kimba The White Lion, and Speed Racer. Only a few of us out there in television land knew about it... shhhhhhhhh! It was cool!!! At 2 o'clock in the afternoon, Channel 52 would go on the air. The station logo would appear. For one hour, that logo would fill the screen with a song that played over and over again until the afternoon programming began. Don't know what the song was, don't remember the tune. My memory is fading. My age is beginning to show. We would just wait for the Channel 52 programs to start.